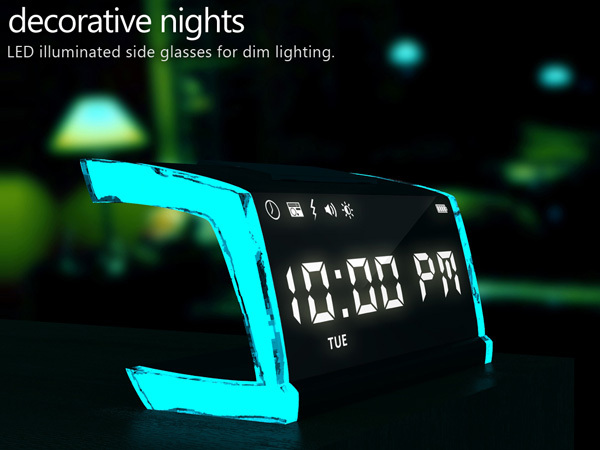 Take a look at the following concet created by Sankalp Sinha. 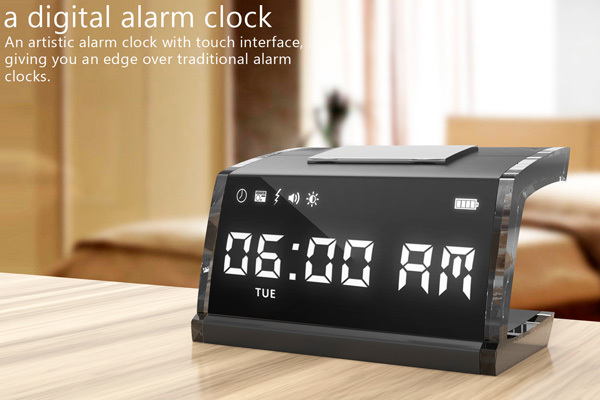 “The singNshock is a capacitive touch screen alarm clock that features an integrated music player with mmc slot. 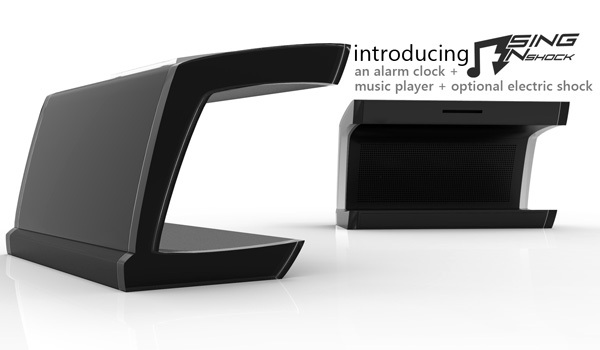 It allows you to store unlimited music so that you can wake up to the melodies of your favorite song. 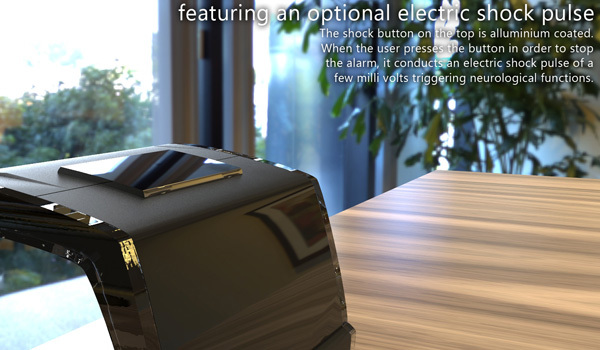 Crazy as it sounds, the clock also features an optional electric shock feature, which gives a micro-volts of electric current, when the user pushes the aluminum coated off button on the top of the clock.” What do you think? 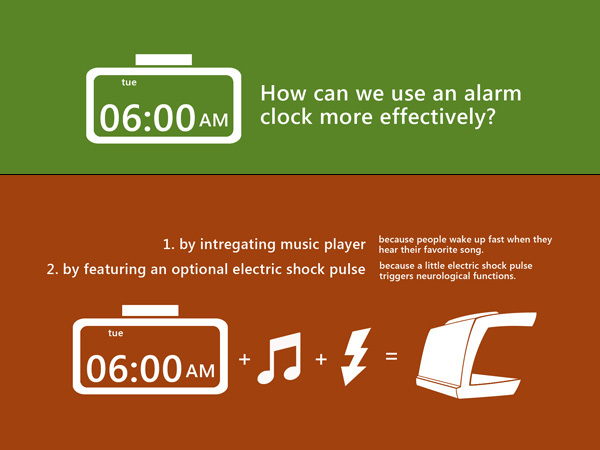 That’s one fancy alarm clock but an electric shock pulse? That’s no way to start the day, lol. But it’s so pretty, I’d love to get one!